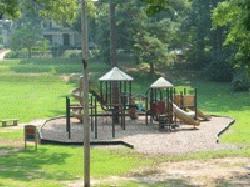 Holding Park is a five-acre site consisting of the Wake Forest Community House and the Town"s 50-meter swimming pool. 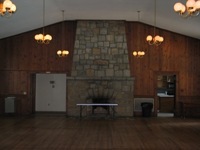 The Community House is available for rent for family reunions, weddings, wedding receptions, and other activities. 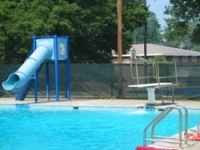 The pool is open during the summer months and offers swimming to the general public, as well as water aerobics, swim lessons, lap swim times, and parent-child swim times. The park also has a playground featuring five slides and swings. 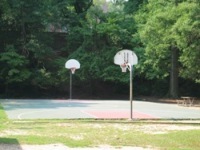 Picnic tables are available as well as a basketball court. 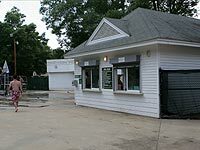 Adjacent to this park, the Town leases Forrest Field from the Wake County School System for baseball and softball league use. Fees apply to pool.